Star Trek: The Next Generation Medical PADD - In many scenes aboard the USS Enterprise, various crew members can be seen holding the PADD (Personal Access Display Device). 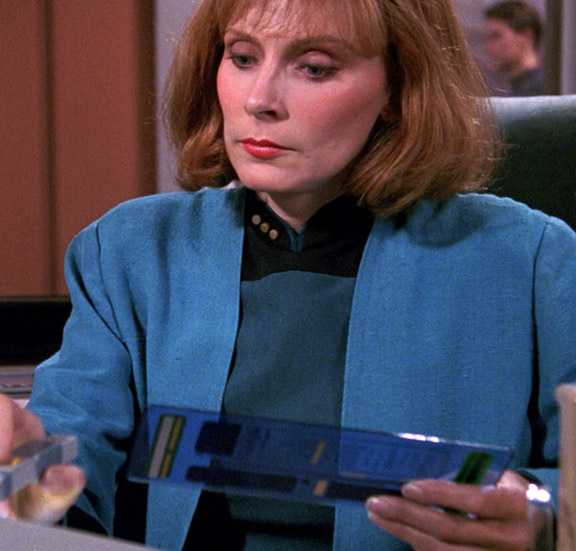 These were especially seen in Sickbay being used by Dr. Crusher and her staff. In many scenes aboard the USS Enterprise, various crew members can be seen holding the PADD (Personal Access Display Device). These were especially seen in Sickbay being used by Dr. Crusher and her staff. In many scenes aboard the USS Enterprise, various crew members can be seen holding the Star Trek version of an iPad called a PADD (Personal Access Display Device). These were especially seen in Sickbay being used by Dr. Crusher and her staff. This rare piece is clear blue plastic with various silkscreened "functions" and metallic stickers applied to it so as to appear to be advanced technology. 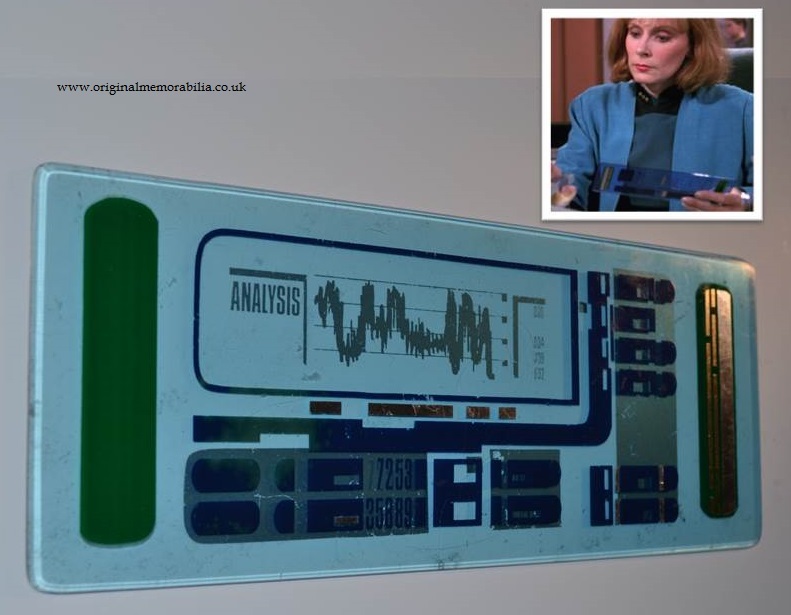 The photo shows Dr. Crusher holding a very similar version to this piece. Shows some wear but is in overall good condition. This type of PADD is seldom seen on screen making it far more unique and desirable than the standard opaque plastic versions. Approx Size 10" x 4"
Some production wear but generally in very good condition. 1) This Medical PADD and all the items in this collection were originally obtained from a named Star Trek prop master with written provenance held on our files. Full details will be included in your certificate of authenticity. 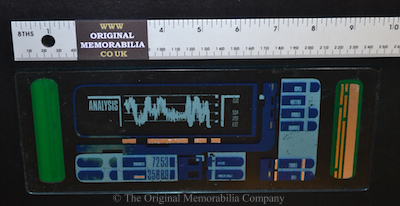 2) We have also shared detailed images of this piece with Don Hillenbrand, a respected collector of genuine Star Trek props and owner of the website www.wrathofdhan.com He has also confirmed that this is an authentic Star Trek prop as described above. Your purchase is safeguarded by our unique Document of Ownership & Certificate of Authenticity that is provided with every purchase which will describe in detail the provenance relating to this piece. See ‘Authenticity’ for further information. Your order will be dispatched in very robust packaging and dispatched on a signature required service in every country. The reliability of this worldwide service is first class. Please read 'Delivery' for full details.